This is the one you’ve been waiting for! 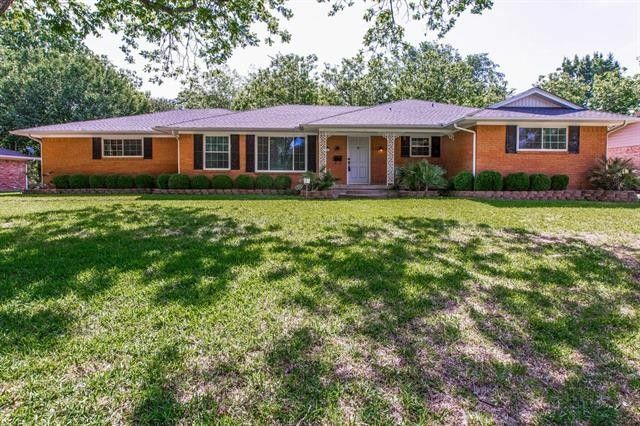 This charming 3/2/2 single story home sits nestled among mature trees on a beautifully landscaped 1/3-acre lot in the highly desirable neighborhood of Lake Park. The home has been lovingly updated while maintaining the original character. The Foyer features refinished original hardwood flooring and oil-rubbed bronze lighting. The Stacked Formals are perfect for entertaining family and friends. The Kitchen offers original gingerbread cabinetry, smooth cooktop, stainless steel appliances including double ovens and pantry. Original hardwoods and vintage built-ins define the warm and inviting Family Room. The Master Retreat boasts a vanity area, walk-in closet and en-suite bath with a separate shower and built-in linen cabinet. The secondary bedrooms have hardwoods and ceiling fans, they share a nicely appointed bath with lots of storage. There is even a convenient Mud Room and separate Laundry Room. The 2-car rear garage is extra deep and includes 2 storage closets, garage door opener and extended driveway for additional parking. The enormous backyard an open patio and recently added wood privacy fence. Other amenities include a VIVANT security system, gutters, sprinkler system, vinyl tilt-sash windows and so much more! The home is just a short walk from 3 parks - Paschall, Bruton and Travis Williams and has easy access to I-635. Directions: From I-30, South on I-635 LBJ (4 miles), exit TX352-Scyene-Military Parkway, continue straight through traffic light merging onto Rodeo Center Blvd (1 mile), Left on Market Center (1 mile), Right on Majors (.4 miles), Home on Left. Exclusions: Curtains, shelf in stacked formals, wall mounted TV in family room.